Crowd project of this week is PureShape by Moonimal. 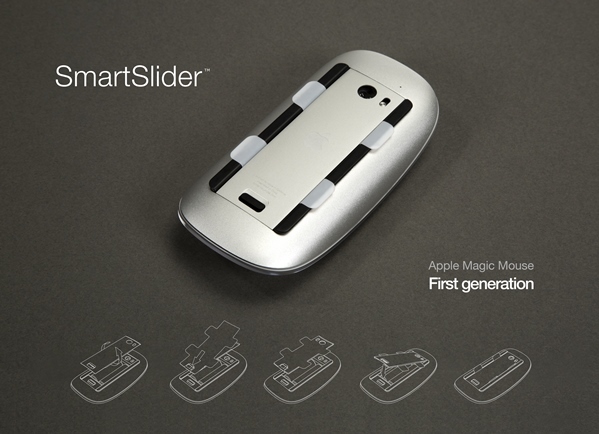 It is a minimalist mousepad dedicated to Apple Magic Mouse. Developers will start the fundraising campaign on Kickstarter soon, in February 2018. The project is fresh and newborn. The gadget under discussion is simple, good-looking and intended for making the user experience of Apple Magic Mouse perfect. The mousepad is not available yet. So, we give the floor to developers. Millions of people around the world use Apple mouse every day. It is beautiful but it isn’t perfect. Lots of people complain about high friction, problems with precision on different surfaces and annoying scratching noises. 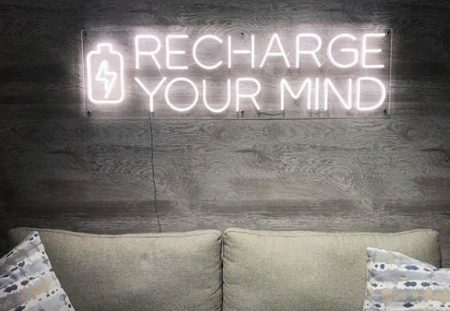 None of the solutions available on the market meet our expectations, so we decided to take matters into our own hands. 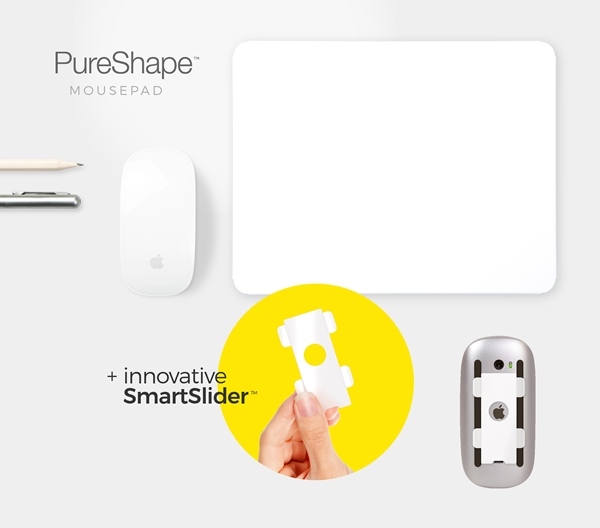 PureShape mousepad – the ultimate improvement for the Apple Magic Mouse. 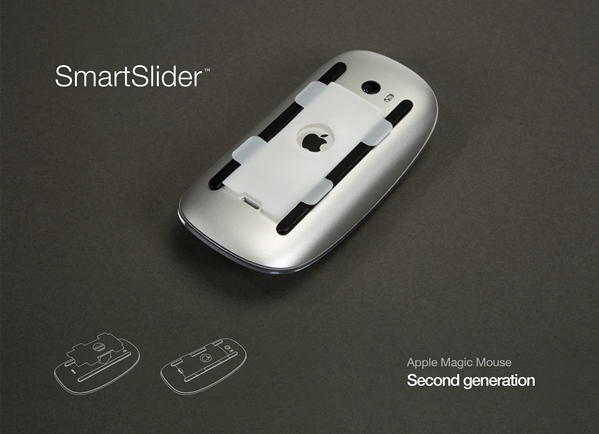 It’s inspired by Dieter Rams style and enhances the comfort of work with Apple mouse. The idea of the product is really quite simple: the combination of refined mousepad and special mouse add-on makes friction minimal and gives the impression of mouse “floating” on the surface of the pad. White, clean and simple. A minimalist mousepad with a special coating that enhances the performance of Apple Magic Mouse. The mousepad is constructed from two materials. The upper layer is made from a laser-cut steel sheet with a pleasantly tactile coating. It’s resistant to abrasion and UV radiation, which guarantees the clarity of the brilliant white colouring for a very long time. To obtain a uniform texture, the steel sheet was coated with nano ceramic conversion layer. The bottom layer of the pad is a beautiful grey foam with anti-slip properties, or optional bamboo plywood, that perfectly matches the metal top. An innovative PTFE polymer add-on with self-lubricating properties that contribute to a significant reduction in friction. The mounting of SmartSlider is ingenious and uses the construction of the mouse, so you don’t need either glue or tape – simple and easy. SmartSlider fixes the main issue: no more annoying scraping! You gain working comfort in all conditions, no matter what kind of desk you have, and total control over the cursor. There will be no double-clicks, shakes or disconnection issues. Moreover, that painful feeling in your wrist by the end of long working week will be gone forever! 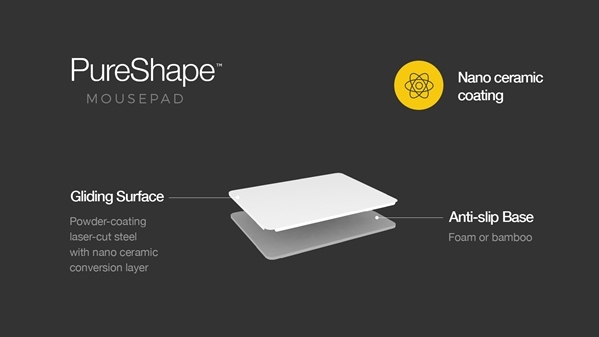 PureShape Mousepad and SmartSlider Add-On guarantee improved ergonomics, increased precision and precious silence. 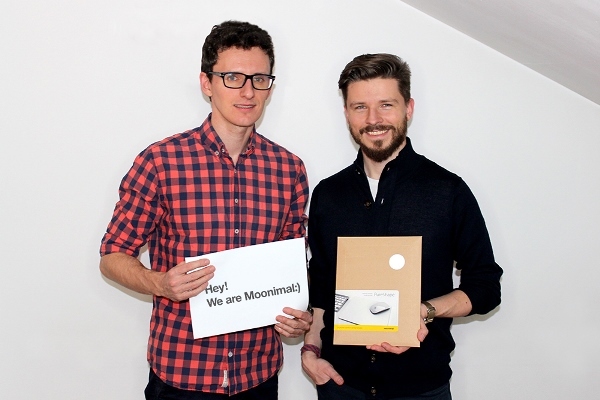 The idea for the moonimal brand was born in the minds of Jakub Iwanski and Jaroslaw Szaran, a designer duo from Warsaw, Poland. The philosophy of the brand is to create simple but, at the same time, highly functional workspace accessories. Our products are made in Europe. We believe in the local and detailed manufacturing which is essential to our brand. 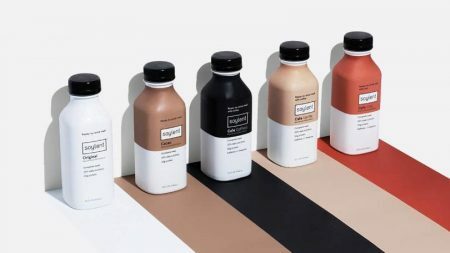 The PureShape is the first product in the upcoming minimalist line and also the first Kickstarter campaign conducted by moonimal. Posted in Marketing, Technology and tagged Apple, crowd project of the week, crowdfunding, Kickstarter. Bookmark the permalink.